R. Wells Hughes is a founding partner of the wealth management firm of Arlington Financial Advisors in Santa Barbara, California. 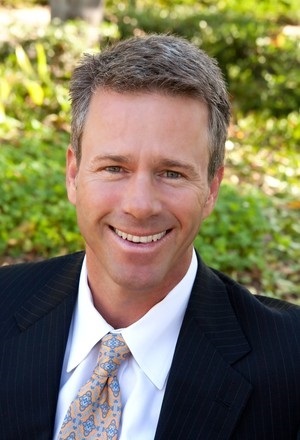 His practice is comprised of high net worth families with an emphasis in the medical and dental fields. Wells provides comprehensive advice in an array of areas including retirement income planning, insurance planning, and investment management. He works closely with his clients’ estate planning and tax specialists to individualize their estate and investment strategies over time as their personal and professional lives change. Wells is a native of Tallahassee, FL. He graduated from the University of Florida with a Bachelors of Science in 1985. Wells holds the series 7, 66 registrations and his life insurance license. Wells is very active in supporting the local community through non-profit involvement. Wells is the founding president and honorary board member for the Teddy Bear Cancer Foundation, from whom he received the 2015 Humanitarian Award. In addition, he serves on the local advisory board for the Dream Foundation and is on the Dream Foundation Finance Committee. Wells was also active in Big Brother Big Sisters program for many years, and is still mentoring the 7 year old (now 23!) little Brother he was introduced to many years ago. He and his family enjoy staying active and spending time together in the great outdoors. He lives in Santa Barbara with his wife Diane and daughter Isabelle.